As part of the South by Southwest® (SXSW®) Conferences and Festivals, that took place between the 11th and 20th of March 2016 in Austin/Texas, Prof. Ina Schieferdecker (Director of the institute Fraunhofer FOKUS) and Dr. Stephan Steglich (Director of the Business Unit FAME) gave a lecture on »Without Borders: Social TV-App Supports Mega Events«. The lecture was held in the »German Haus«. 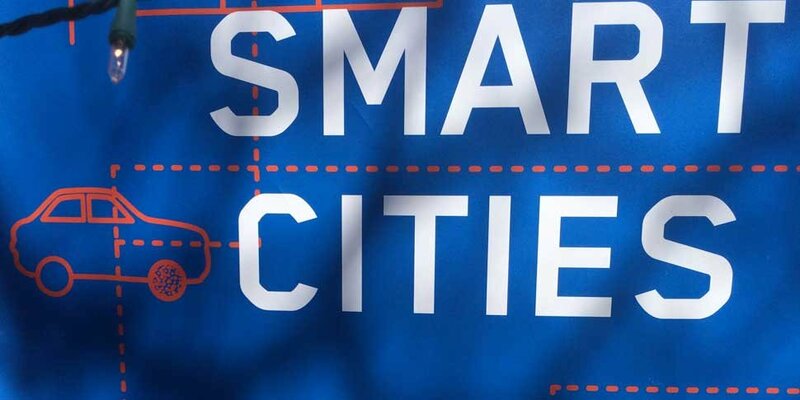 Smart-Cities offer their inhabitants a series of cultural, political and sporting events. Irrespective of open-air concert or sporting event – it is not always possible to be there live. Often such large-scale events are of interest to millions of people worldwide that follow these events in front of their TV sets and comment on them in blogs and via other social media. Fraunhofer FOKUS has developed the Social TV-App »HbbTV« with which television editors can put together additional content following the modular concept, such as blog articles for different programs and offer them via the internet connection of the television set. The viewers can follow the Live-Blog, look at individual blog entries and photos during the broadcast. In order that such events are a safe experience for the visitor on location, an increasing number of Information and Communication Technologies (ICT) are deployed. This critical ICT supports the organizers in areas e.g. organization, security, logistics and economics. Fraunhofer FOKUS is working on methods and tools to safeguard such systems. The SXSW® is an annual conference that takes place in Austin (Texas, USA) dealing with topics all around music, film and interactive media. In the »German Haus«, decision makers and experts from the German digital industry presented themselves to the approximately 70,000 participants.